What is Lexington's Community Choice program? The program is an electricity aggregation, a form of group purchasing in which the Town uses the bulk buying power of the entire community to negotiate a price for the electricity supply portion of your Eversource electric bill. Under the program, Eversource will continue to deliver your electricity, but Eversource will no longer be your electricity supplier. Instead the Town chooses its own electricity supplier. Lexington has signed a contract with Constellation New Energy to deliver 100% renewable energy to the Town through December 2020. I received a call/visit/letter in the mail about my electric bill. Is it from the Town or this program? Lexington’s Community Choice program sends one communication in the mail about this program. That letter goes to Eversource Basic Service customers only. 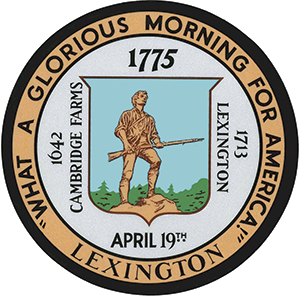 The letter includes the Town seal at the top, and at the bottom includes the names of the Town Manager, and Mark Sandeen, Chair of Sustainable Lexington. Any other letter, phone call, or visit that you receive about your electricity does not represent Lexington’s Community Choice program. The Town does not send additional mail, knock on doors, or make individual sales phone calls. If Eversource is your electricity supplier, you will be automatically enrolled in the program unless you choose to opt out. You do not need to provide additional information to participate. Any person or company who asks for additional information does not represent Lexington’s Community Choice program. The person you are speaking with is not associated with the Town of Lexington or the Lexington Community Choice program. You should treat your Eversource account number like you treat your credit card information. Do not give it out unless you want to purchase your electricity from someone else. You do have the right to select an electricity supplier of your choice. If you choose to explore this option, please check the terms of the agreement carefully. Things to check for include: minimum bill amounts, contract length requirements, early termination fees, low introductory rates that change after the introductory period ends, and rates that vary. Electricity service has two parts, delivery and supply. Electricity delivery is the process of bringing electricity to you along wires. Electricity supply is the electricity itself. Eversource is responsible for electricity delivery in Lexington. In addition, Eversource typically chooses the electricity supplier and passes that cost along to customers. This is called Eversource Basic Service. Within Lexington’s Community Choice program, Eversource continues to deliver the electricity but no longer acts as the electricity supplier. Instead, Lexington chooses an electricity supplier for Town residents and businesses through a competitive bid process. What will my electricity supply price be? 100% Green is 11.624 ¢/kWh for all customers/rate classes. This offering provides 100% renewable energy and includes at least 19% from New England, which is 5% above the state minimum. 100% Green is the default option. Eversource Basic Service customers are automatically enrolled in 100% Green unless they choose another option or opt out. New England Green is 12.428 ¢/kWh for all customers/rate classes. This option provides 100% renewable energy, all from projects in New England. Basic is 11.494 ¢/kWh for all customers/rate classes. This option meets Massachusetts minimum renewable energy requirements but does not include any additional renewable energy. How much money will I save? Are savings guaranteed? Savings cannot be predicted or guaranteed. The program price is fixed until December 2020, while Eversource Basic Service prices change every 6 months for residential and small business customers and every 3 months for large business customers. As a result, the program price may not always be below the Eversource Basic Service price. How long will the program last? What will happen after December 2018? Lexington has signed a contract with Constellation New Energy, which will be in effect from December 2018 meter reads until December 2020 meter reads. At that point, Lexington can establish a new electricity supply contract or end the program and return participants to Eversource Basic Service. What will change if I participate in this program? On the Supplier Services portion of your Eversource electric bill, you will see the electricity supplier selected by the Town listed as your electricity supplier instead of Basic Service. The rate that you are charged for supplier services will change from the Basic Service rate to the Community Choice rate. Otherwise, everything else will remain the same. You will continue to receive your bill from Eversource, you will continue to pay Eversource, and you will continue to call Eversource when your power goes out. If you are eligible for any discounts from Eversource, those will be unaffected by your participation in this program. Accounts on Eversource Basic Service will be automatically enrolled in the program. If you already have an agreement with an electricity supplier, you will not be automatically enrolled in the program. However, you can join the program by calling the electricity supplier selected by the Town and asking to be enrolled. Contact customer support for more information. Before you terminate an existing contract with an electricity supplier, we recommend that you check the terms of your contract. Many include minimum enrollment periods and early termination fees. If you wish to wait until the end of your current electricity supply contract and then join the program, you may do so. You will receive the program price whenever you join. You do not have to participate and can opt out. There is no penalty for opting out. You may do so at any time. If you opt out, the supply portion of your bill will remain on Eversource’s Basic Service rate. You may opt out by calling the supplier selected by the Town. Contact customer support for more information. You may opt out online. I have already signed my own contract with an electricity supplier. Can I participate? If you have already chosen an electricity supplier, you will not automatically be enrolled. But if you would like to participate, you can call the electricity supplier selected by the Town directly to enroll. Contact customer support for more information. We recommend that you first check the terms of your existing supply contract. Many include minimum enrollment periods and early termination fees. Who do I call when the power goes out? Call Eversource if your power goes out, as always. Eversource will continue to deliver your electricity and maintain the polls and wires. Will I receive a second bill? No. Eversource will continue to bill you for your electricity, and this is the only electricity bill you will receive as a participant in the program. Will Eversource provide me with a lower quality of service because I participate in this program? No. Eversource’s quality of service to you will be unaffected by your participation in Lexington’s Community Choice program. Eversource does not profit from the supply charges on your electric bill. They make their profit from delivery charges. As a result, they have no preference whether they choose your supplier or Lexington does. What if Eversource's price falls below the program price? The Community Choice price is fixed until December 2020. Eversource Basic Service prices change every six months or less, depending on what kind of customer you are. As a result, it is likely that for some months, the Eversource price will fall below the program price. The program goal is to beat the average of the changing Eversource prices. If the Eversource price does fall below the program price, you are free to opt out of the program and return to Eversource Basic Service. I am currently eligible for the low-income delivery rate from Eversource. Will this change? No. If you are eligible for a low-income discount from Eversource, it will unaffected by your participation in the program. I have budget billing from Eversource. Will this change? Yes. Budget billing is a service from Eversource in which your bill is the same amount every month. If you join Lexington’s Community Choice program, budget billing will no longer apply to the supplier services portion of your Eversource bill. If paying the exactly the same amount every month is important to you, you should opt out of the program. I have solar panels on my property. If I join the program, will I continue to receive net metering credits? Yes. Net metering will work the same way if you participate in the program. Your net metering credits from your solar panels will continue to appear on your Eversource bill and will continue to be calculated based on Eversource’s Basic Service price, not the program price. Will I be enrolled if I am on Eversource's Do Not Call list? No. If you have added your name to Eversource’s Do Not Call list, your account will not receive any mailings about the program, and your account will not be automatically enrolled. But you may participate if you wish. To participate, call the electricity supplier selected by the Town and ask to be enrolled. Contact customer support for more information. Is Lexington the only community in Massachusetts creating this kind of program? No. Municipal electricity aggregation has been building momentum across Massachusetts. With the launch of this program, Lexington joined more than 125 other Massachusetts communities that already have active aggregations, communities such as Salem, Natick, Chelmsford, Swampscott, Greenfield, Westborough, the communities of the Cape, and many others.